With more years of experience in the nuclear field than our competitors, we’re experts in this specialized and challenging industry, and equipped and capable of being your single-source provider in several disciplines. 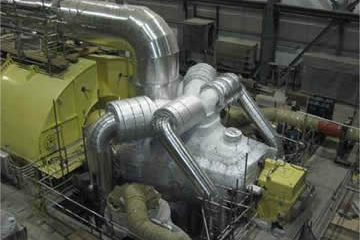 Advanced Nuclear supplies and installs all facets of mechanical insulation serving the nuclear industry. Our experienced management team and skilled craftspeople work closely with design engineers, facility/maintenance managers, and owners to provide unique, specialty solutions to our customers. We are able to offer a complete array of services for a broad spectrum of applications across all facets of the industry. No job is too big or too small. We are the contractor of choice with the expertise and experience to get your job done safely, on budget, and on time. Through our strategic alliance with Darchem/Esterline, Advanced Nuclear offers DARMETT™ Reflective Metallic Insulation (RMI). 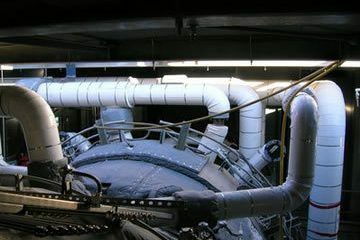 The all-metallic insulation system controls heat loss and temperature gradients on primary circuit vessels and associated equipment and pipework. Principle features include ease of removability & replacement, corrosion resistance, fewer equipment operational difficulties, no health risk to maintenance personnel, and long-life performance. We are experts in the specialized and challenging Nuclear Services industry and are equipped to be your single-source provider in several disciplines. We are committed to exceeding expectations and delivering quality, productivity, and safety for all Nuclear Services that we provide. Advanced Nuclear is a recognized industry leader in the installation of UL-classified and FM-approved passive fire stop systems. When you choose Advanced Nuclear, you’re selecting a premier installer of passive fire protection systems for all your through penetrations, top of wall, edge of slab, electrical separation criteria and critical system component protection. We have vast experience in asbestos and lead abatement, as well as hazardous material remediation. By using state-of-the-art technologies and certified and/or licensed personnel with training that exceeds regulatory requirements, we are able to execute any size project safely and efficiently. 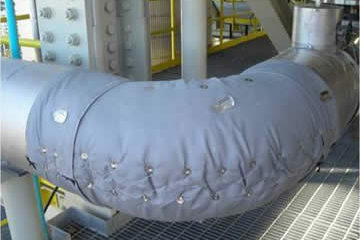 Whether it’s a glove bag on a flange or the demolition a power plant, Advanced Nuclear has both the resources and expertise to get the job done right. Advanced Nuclear provides a wide array of scaffolding. From design and full project management to expert erection/dismantling, you can count on Advanced Nuclear to provide comprehensive solutions to accommodate your access needs at competitive prices to fit your budget. 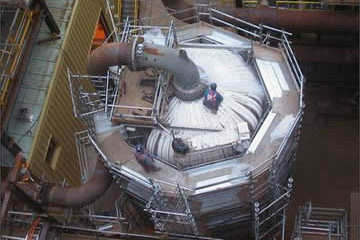 We also have experts in abrasive blasting and applying various industrial and commercial coatings to exacting standards. They include intumescent and cementitious fireproofing, internal linings and external coatings, and painting either on site or at one of our shops as part of fabrication. 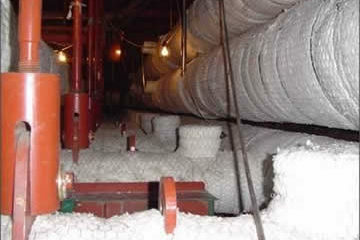 As the premier installation and support service provider of mechanical insulation, asbestos/ lead abatement, energy appraisals, reflective metallic insulation (RMI) & fire protection services to Nuclear facilities throughout North America, Advanced Nuclear should be your first choice to provide solutions to keep your project on track. Let Advanced Nuclear demonstrate how we can be your contractor of choice with the expertise and experience to get your job done safely, on budget, and on time.